CHaINA, a 10,000-circulation news magazine that covers China's supply chain and its global impact, is offering a 6-month paid internship in its Shanghai headquarters. The full-time internship pays $500 per month. "The candidate will have the opportunity to research, write and edit articles, do interviews, cover events, develop story ideas and get involved in all aspects of magazine production," the ad states. "Excellent opportunities will be provided for meeting and networking with a wide range of senior executives providing exposure to many companies and industries." 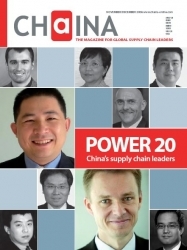 To apply, e-mail resume and clips to Russel Beron at rberon@supplychain.cn. Applicants must be native English speakers.